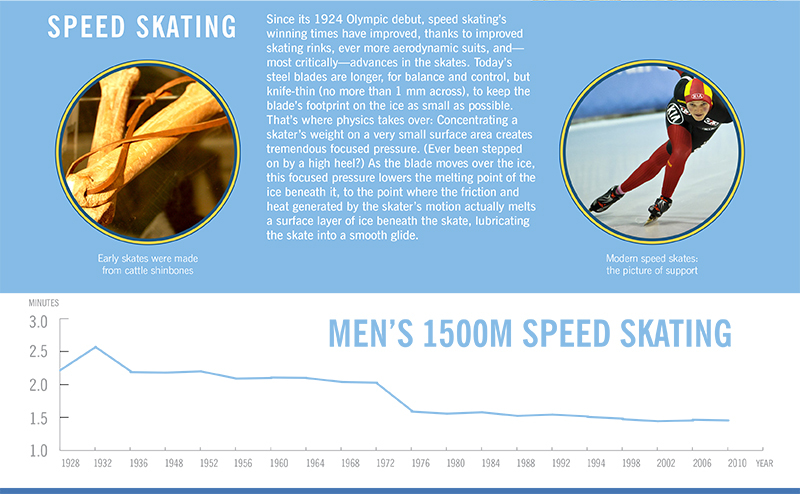 We tend to focus more on the athletes in the Winter Olympics than on the gear they use. But understanding the physics underlying each sport has led to major design improvements in the relevant equipment, and it’s had no small part in taking elite athletes all the way to the top. Here are some examples. This is the third post in a 4-part series on the Fukushima disaster and the science behind what happened. 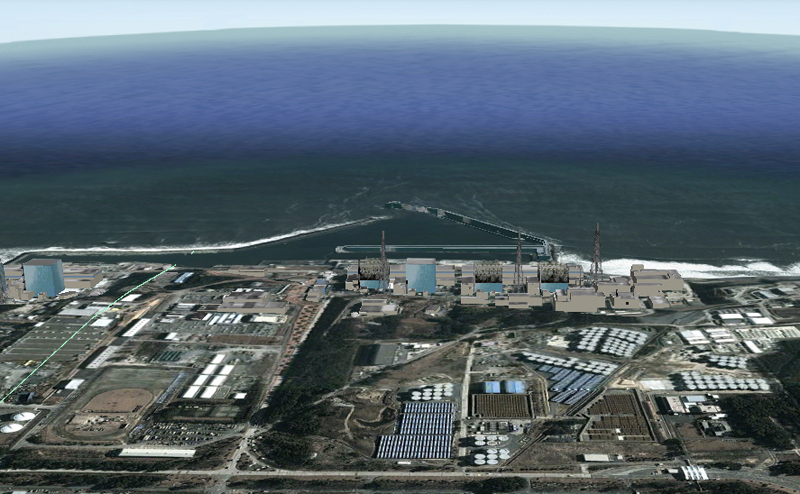 The Fukushima Daiichi power station was operating three of its six reactors when the earthquake struck, and the plant initiated an automatic shutdown: Control rods, which absorb the free neutrons that would normally continue the fission chain reaction, were thrust upward into Units 1, 2, and 3. But the radioactive byproducts continued to generate a great deal of heat. 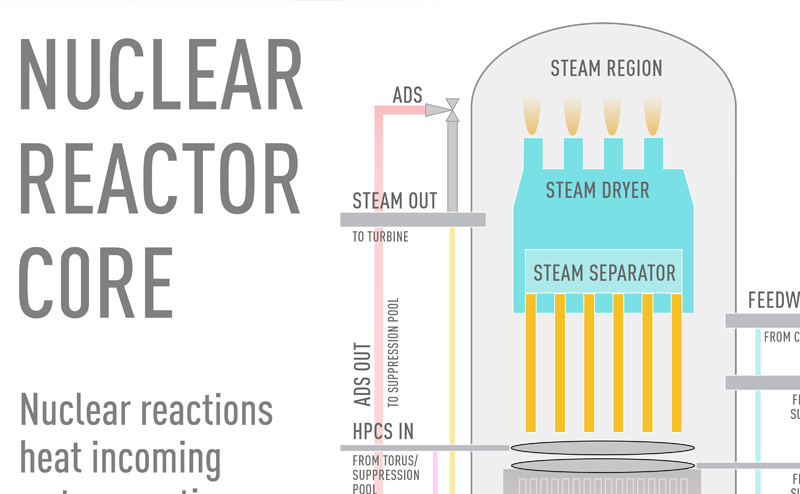 A cooling system called an isolation condenser (IC) pumped water through the reactors to cool the cores, but the operators noticed that the IC was cooling Unit 1’s core too quickly. As metal contracts in cold temperatures, they were concerned this could have stressed the steel walls of the containment vessel, so they temporarily shut the IC down for that unit. And it was while the cooling IC was off, roughly forty-five minutes after the earthquake, that the first tsunami waves hit. Water rushed over seawalls, smashed into the seawater pumps used in heat-removal systems, and submerged and disabled the plant’s power panels. Fukushima had been running on generators following the quake, and all but one were made unusable in the tsunami. The result was effectively a full station blackout. Without power, the operators had no way to restart the IC cooling system for Unit 1. This is the fourth post in a 4-part series on the Fukushima disaster and the science behind what happened. Whether it happened in October as alleged or not, it is clear that radioactive water has been dumped into the Pacific Ocean. The contaminated water’s arrival to U.S. shores is imminent, but, as of now, there’s apparently little cause for concern. The radioactive water expected to reach U.S. shores early this year has been deemed safe by the U.S. Nuclear Regulatory Committee—the amount of radiation to reach the West Coast is at a level 100 times less than the drinking water standard. 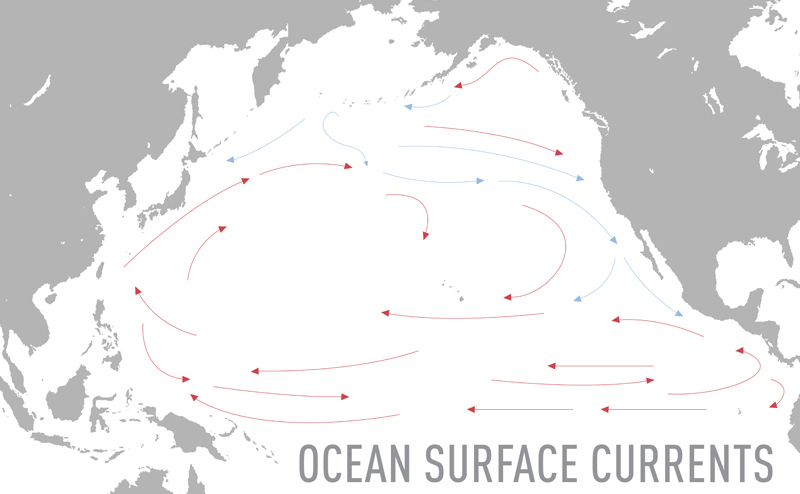 The long journey these radioactive particles are taking through the Pacific is shedding new light on how ocean currents circulate around the world, and helps explain how the radiation diluted so quickly. As for sea life, it is expected that local fish and plant life in Japanese waters have absorbed the brunt of the radiation, and could pose a threat if consumed, but for those fish that are out farther, the potential for contamination should dissipate. There are caveats, of course. For one, strontium is a bone-seeking isotope, and it may be more persistent than other radioactive elements. This is the second post in a 4-part series on the Fukushima disaster and the science behind what happened. 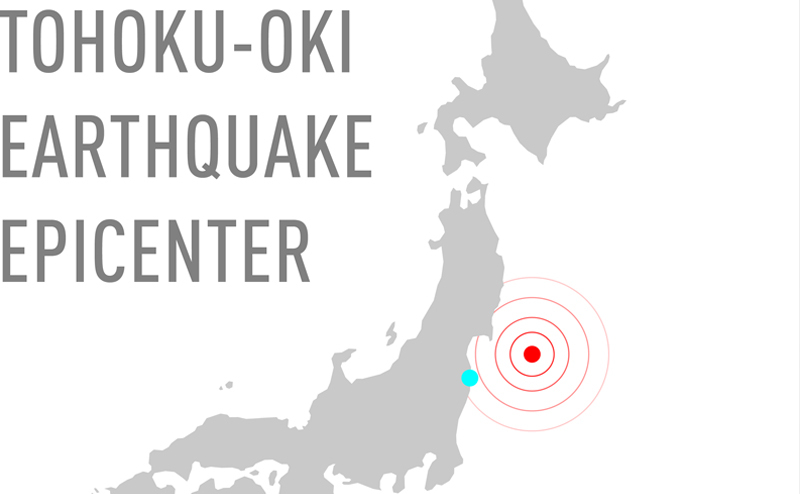 The 9.0 magnitude Tohoku-Oki earthquake that struck roughly 80 miles off the east coast of Japan on March 11, 2011 was a big one—the 5th largest earthquake ever recorded. A quake’s magnitude is determined by a few factors, including the area of the fault (the crack in the earth’s crust) that is broken by the quake, the fault slip (the distance that rock slides along a fault surface after it breaks), how rigid the rocks are near the fault, and the depth of the fault slip. With the Tohoku earthquake, much of the fault slip happened at an unusually shallow point in the earth’s crust. “In most earthquakes, the greatest slip tends to occur deeper, but here the earthquake started to slip more as it propagated toward the earth surface,” explained Dr. Savage. “There was potentially around 50 meters of slip along the fault up to the sea floor.” The slip grew as the rupture approached the surface, causing more surface deformation. When the rupture thrust up the sea floor, it prompted the tsunami; the motion of the floor displaced the overlying water, instigating the wave. “The upward motion does not need to be great for a significant tsunami to form,” said Dr. Savage. It has been three years since the Tohoku-Oki earthquake struck off the coast of Japan, causing a massive tsunami that overwhelmed Japan’s seaside Daiichi power station, leading to a partial meltdown. Enough time has passed to take a sober look at how the disaster unfolded, whether cleanup efforts are sufficient, and most importantly, how we can prevent something like this from happening again. To do that, we need to understand. We reached out to Dr. David Brenner, professor of Radiation Biophysics and Director of both the Center for Radiological Research and Columbia University Radiological Research Accelerator Facility; Dr. Heather Savage, Lamont Assistant Research Professor in Seismology, Geology, and Tectonophysics at the Lamont-Doherty Earth Observatory; and Michael Corradini, mechanical and nuclear engineer and professor at the University of Wisconsin, Madison. Over the next week you’ll find an analysis of the earthquake and tsunami “one-two punch” that ravaged Fukushima, an explanation of how nuclear reactors work and what happens during a meltdown, a breakdown of the cleanup process and the biggest concerns, and the realistic risks of radiation exposure—both generally and in this particular scenario. The chain of events that led to the Fukushima multi-reactor meltdown has been heavily covered. We wanted to offer the science behind the events—to explain why things happened as they did. But before we go into what went wrong, it might be helpful to understand what “right” looks like. From twin satellites photographing the sun in 360° to rovers on Mars to a ’70s-era probe passing out of the heliosphere and into interstellar space, mankind has more than two dozen currently active spacecraft outside simple Earth orbit. 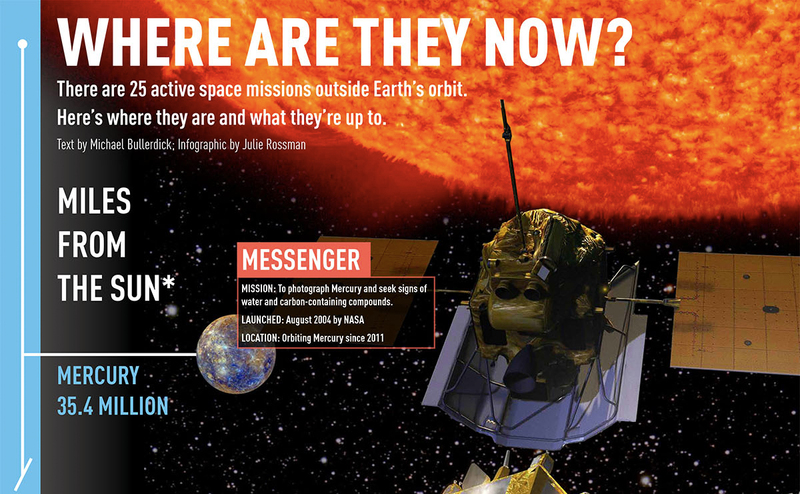 We created this infographic to showcase where all Earth’s interplanetary explorers are today, and what they’re up to. Since the Soviet Union launched the first space probe, Sputnik, in 1957, approximately 160 unmanned space probes have been launched by various countries, or those working cooperatively, to photograph and analyze the sun, the Earth, the moon, interplanetary space, comets, asteroids and planets in our Solar System. Most probes are designed to “flyby” or orbit celestial targets; however, several—such as Curiosity and Chang’e 3—have been designed to make surface landings and to employ mobile rovers to search for evidence of life-sustaining water. We’ve identified 25 probes designated on “active duty,” meaning they are 1) en route to their destinations or have reached their targets, 2) are successfully conducting experiments, and 3) are still able to communicate with Earth. The farthest-flung of these are Voyager 1 and 2, twin probes launched way back in 1977 that managed to surpass expectations in photographing Jupiter, Saturn, Uranus, Neptune and their moons.